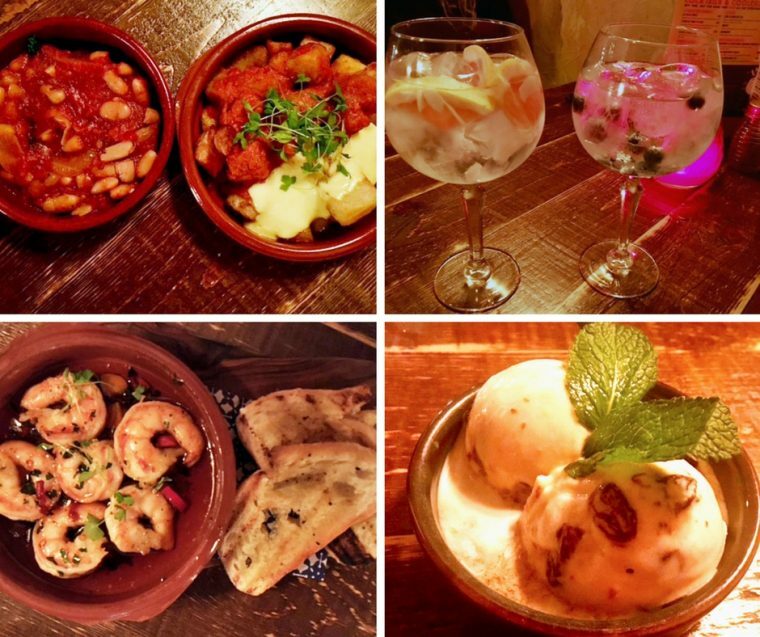 With autumn well and truly here and winter on the way, what better way to warm the spirits than an evening meal at the Spanish restaurant La Tasca, I was invited to sample their new autumn menu. We headed down to a cosy, welcoming restaurant, in the buzzing James Street just off London’s Oxford Street. The service was very attentive and friendly. My friend and I started the evening with a couple ‘Exotic’ Gin and Tonics, I chose the ‘Brookmans’, a fruity gin with flavours of blueberries and raspberries, my friend particularly loved her ‘Hoxton’, an exotic gin with coconut and grapefruit, which she described as delicious, refreshing and not too sweet. There are a wide variety of cocktails on the menu, with some great deals at Happy Hour. The menu offers a large selection of different options. New on the menu are the mains (for those who don’t like sharing). The Chorizo Burger looked rather good, or there was the option of hake, chicken, steak or Slow Cooked Pork Cheeks. There is also a choice of Paellas, cooked to order the Valencian way. 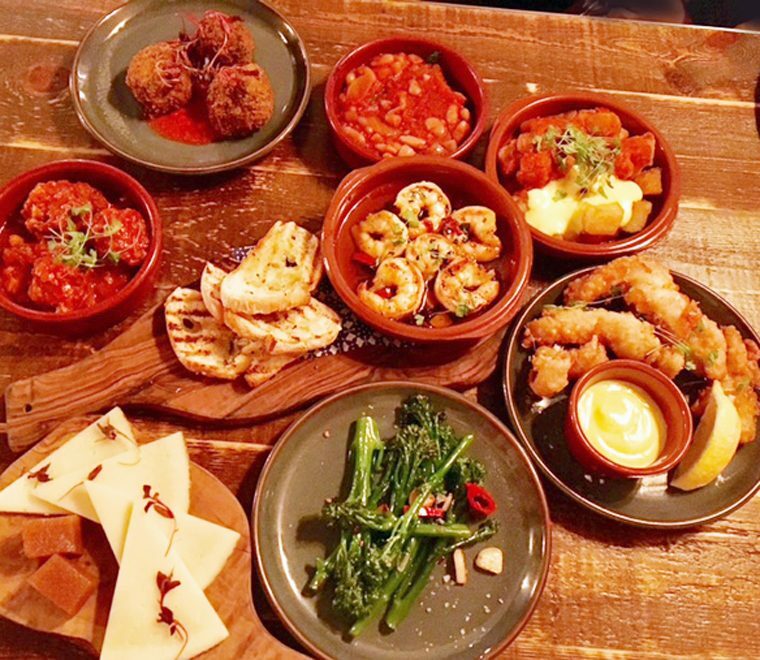 We opted for the classic Tapas sharing menu, and what a feast it was. We began our meal with some Manzanilla Olives and Pan Tumaca, bread, baked in house and brushed with garlic oil, and served with a grated tomato sauce. 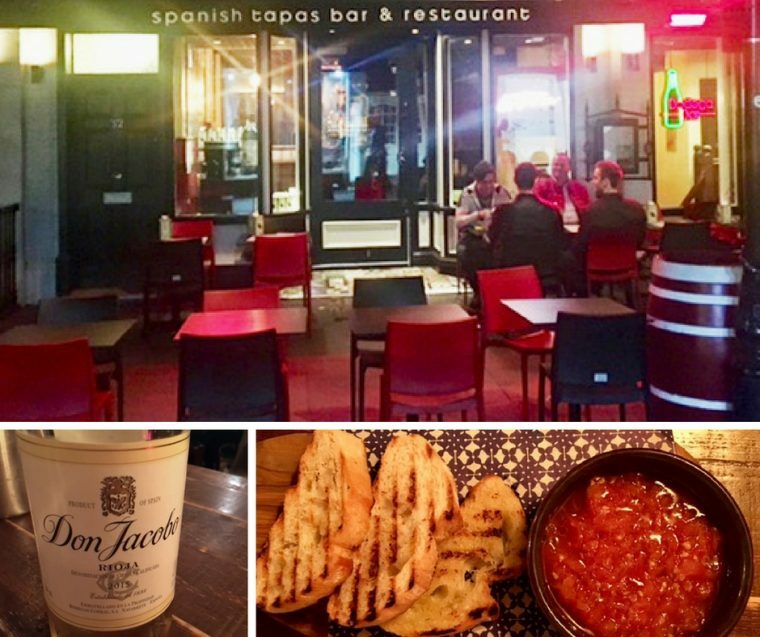 We chose a delicious bottle of Don Jacobo Rioja Blanca, a light and refreshing wine to accompany our meal. Our food came pretty much all at once; it was quite a fantastic spread. We started by tucking into Pescado Rebozado, which is new on the menu, a perfectly deep fried, succulent white fish in a light beer batter, also Albondigas, slow roasted, tender meatballs in a rich tomato sauce. And of course no tapas meal could be without the classic Patatas Bravas, a tasty potato dish with a spicy tomato sauce and alioli, and we also had the White Bean and Tomato and Kale Stew, perfect for a cold autumn evening. Also, new on the menu were Gambas Pil Pil, traditional king prawns cooked in chilli and garlic and Broccoli A La Brasa, chargrilled broccoli with a garlic and chilli dressing. As you can imagine we were incredibly full by now, but somehow we managed to find space for the Spanish-Style Helado, which is ice cream drenched in the sweet wine, Pedro Ximenez Triana. It was delicious and finished off our meal perfectly. All in all, we had a lovely evening with good food and excellent service.